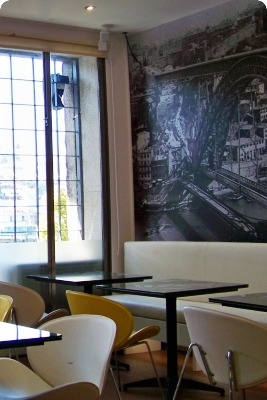 The Management of Restaurante Mercearia, Restaurante Avó Maria, Esplanada Taverna Bar and Apartamentos Sobre o Douro took another step towards the preservation and renovation of Porto’s Riverside heritage. On June 2012, the Ponte Pênsil was inaugurated, a place with a History that goes back to 1841 and that is located next to D. Luis Bridge, bellow the pillars of the old Suspension Bridge, where the Guards’ House was located. The space was completely renovated while maintaining its originality and recovering yet another historical space for leisure and tourism. 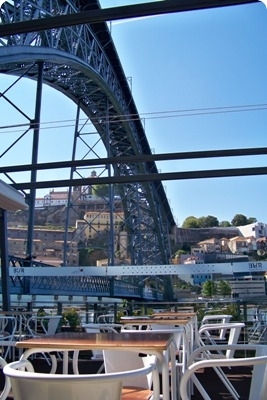 These are located at the riverside area of Porto, right in the heart of the historical center that, since 1996, is a UNESCO (United Nations Educational, Scientific and Cultural Organization) World Heritage Site. 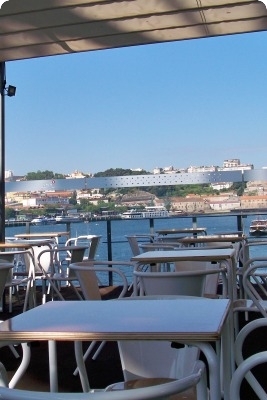 The Bar Ponte Pênsil is the ideal place to relax and take a break, while enjoying the scenery and our Snack-Bar service, with delicious salads and cafeteria service. Meet our partners, where you will be able to find a personalized customer service.